You are officially wed. You've danced the night away. The wedding has commenced. Where to next? As you plan your next destination, don't forget to think about how you'll get there. Get whisked away in top-notch style! Rolls-Royce, vintage jeeps, classic convertible Cadillac's - you name it. Here's some of our fave fabulous moments from previous epic departures. 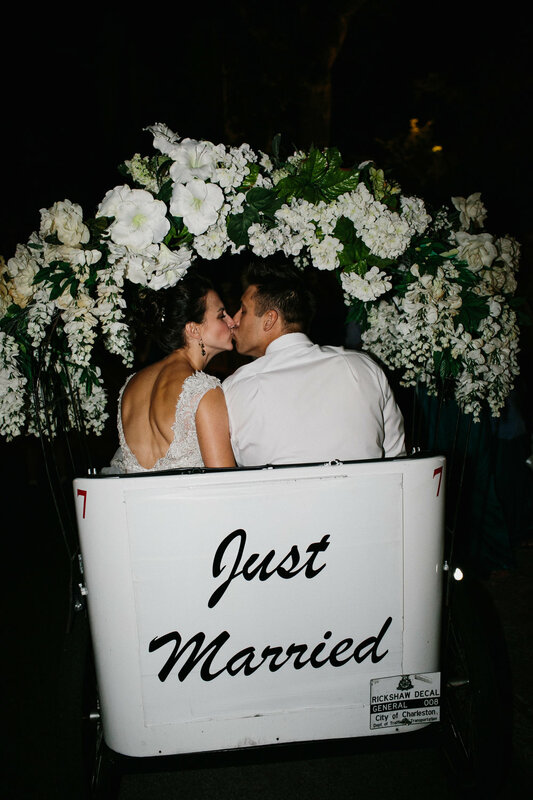 Oh and don't forget the horse drawn carriage-now that is an unforgettable exit! Having an amazing departure plan is good to have, but why not plan your arrival, too? You and your bridal party have endless options of making a grand entrance. Horse carriage, limousine, or perhaps a souped-up vintage Volkswagen bus. The options are out there and Pure Luxe Bride wants to help assist you in choosing your tight whip. Let's get your stylish ride in the books!